PortSports is focused on all of our players playing as hard and as competitively as they can without crossing a line of respect. We have a diverse player pool of all abilities. From young collegiate athletes to not as young couch potatoes. We welcome all levels of ability and try to guide players to sports where they will be the most comfortable, or where they can be the most challenged. If you have a concern or question about ability with a particular sport email portsports@portsportsmaine.com and we can find the right league for you. Morgan Surkin founded PortSports Social Club with her husband Dave in 2007 with the idea of offering fun casual sports leagues and events, with the goal of connecting people and helping them give back to the community. 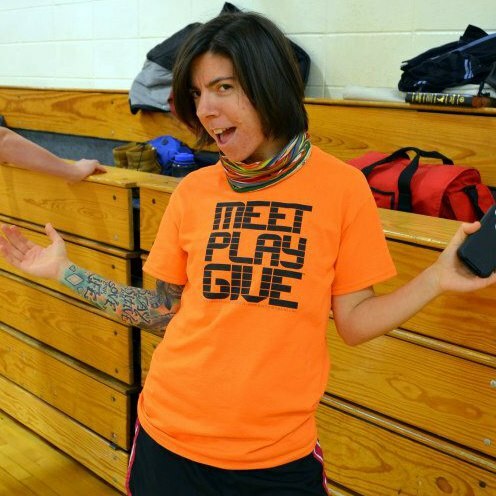 PortSports' mission of "meet, play, give." became a registered trademark in 2012.